July is my birthday month, and I’m super excited to celebrate! 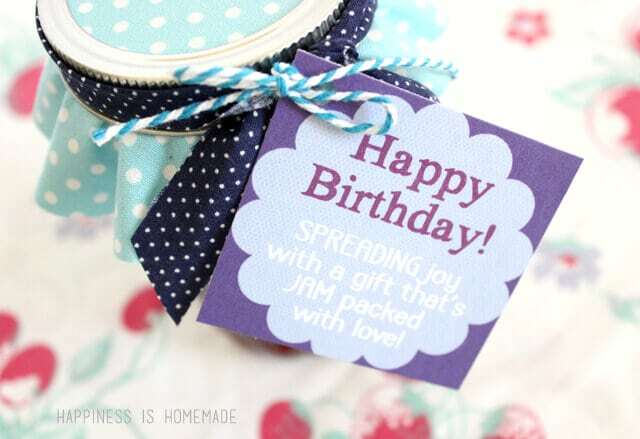 My birthday isn’t actually until the 17th, but I’m starting the party early today with 101+ Birthday Gift Ideas for your Friends, including my Blueberry Apricot Jam Recipe + Printable. 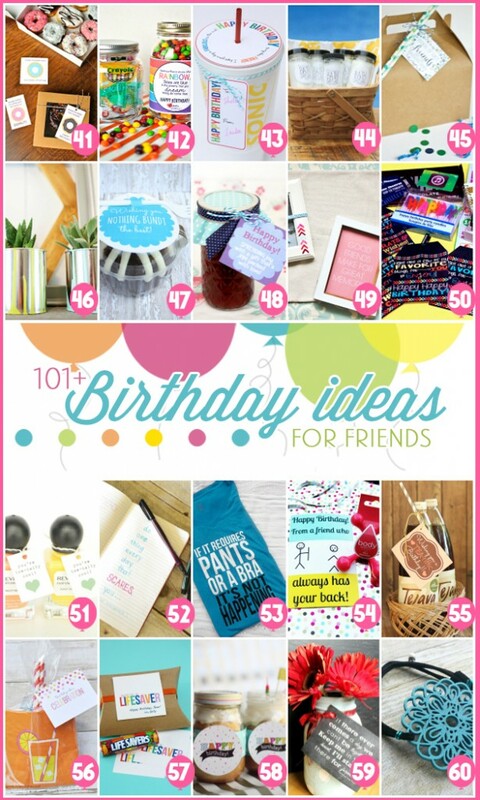 I am joining forces with Kristen Duke (it’s her birthday, too!) 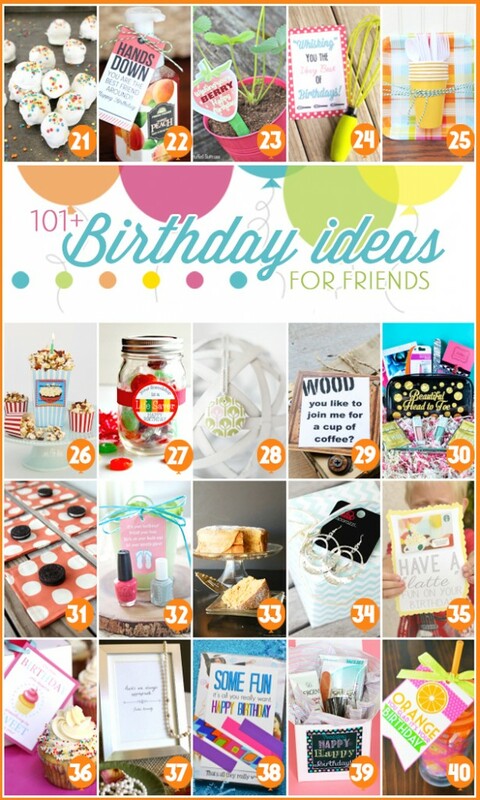 for her Birthday Celebration Week along with over 100 talented bloggers who are all sharing lots of great inexpensive gift ideas for your friends, family, or even that gal that you’d like to get to know better. 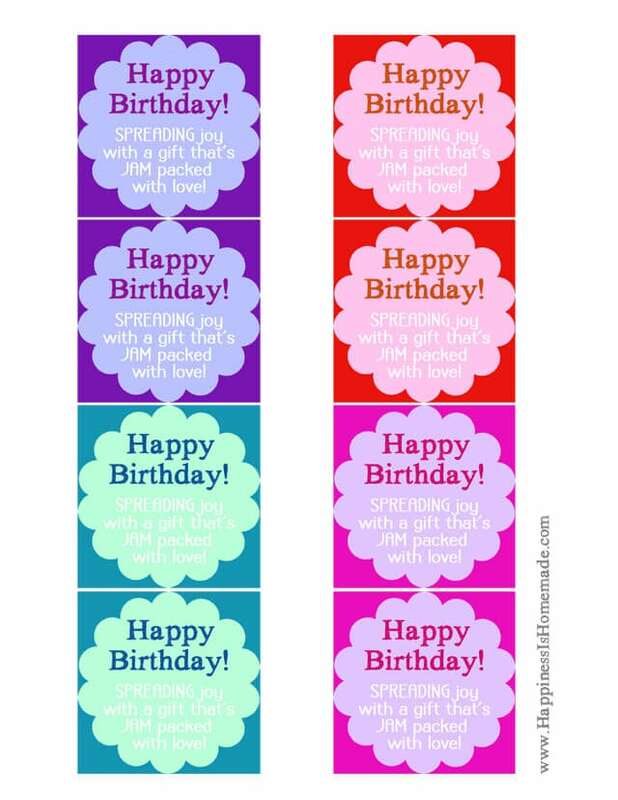 The gifts are all aimed at birthdays, but many of them can be adapted to other holidays as well! 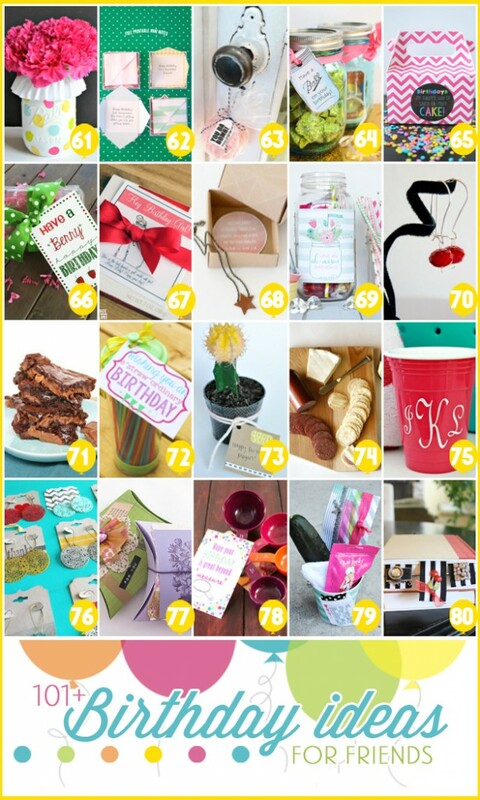 Even more fabulous–most gifts are under $5 and have coordinating printables to make it super simple for you! 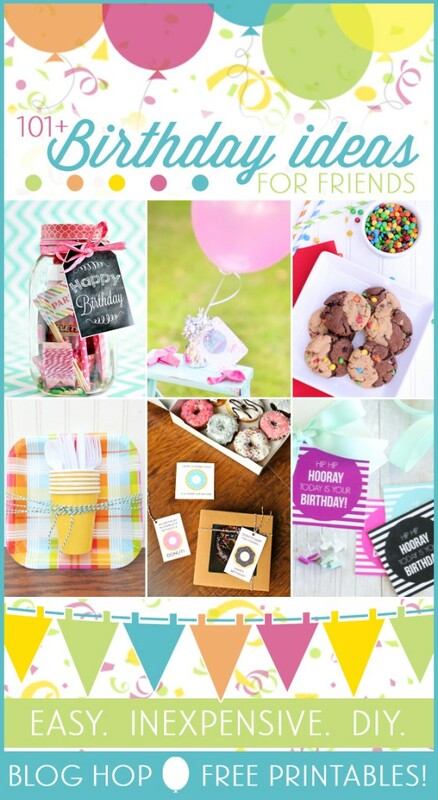 All week long, Kristen will be sharing birthday tips and giveaways so be sure to check out her party! 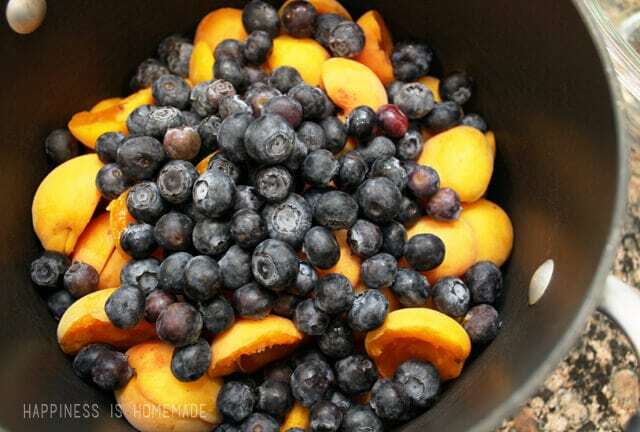 I recently made a batch of blueberry apricot jam, fresh from our garden, and I thought it would make a perfect inexpensive birthday gift for friends and neighbors. It’s definitely one of those good old fashioned homemade gifts that you’d love to come home and discover waiting on your front porch for you! Combine all ingredients in large saucepan and place a small plate in the freezer to chill. Bring to a rolling boil over medium-high heat. Reduce heat to medium and continue to boil vigorously for about 20-25 minutes. Jam will set when mixture reaches 220 degrees - you can use a candy thermometer to check the temperature, but I always use the "cold plate test" for my jam. Remove the plate from the freezer and place a small dollop of jam on the plate. Return to the freezer for 1 minute. Remove from freezer. 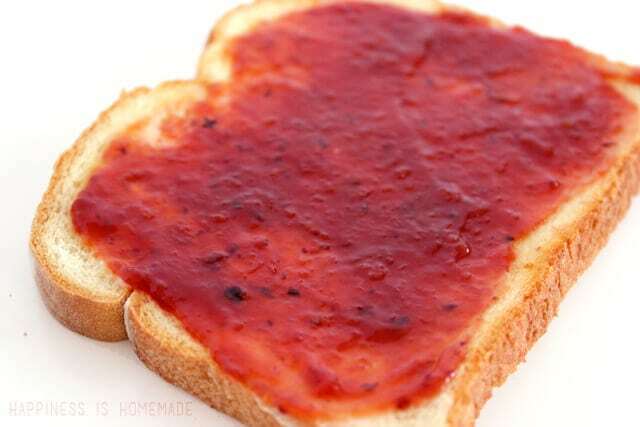 Run your finger through the blob of jam to make a line through the center - if the jam stays separated and appears to be the right consistency, it is ready. If the jam is too thin and the line runs back together, continue to boil for another 5 minutes before testing again. 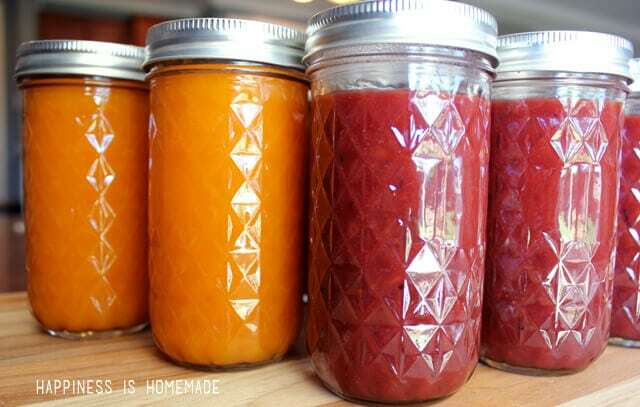 Ladle the warm jam into hot canning jars, and follow proper canning methods to preserve. You can also make an all-apricot version of the jam by using 4 cups of quartered and pitted apricots and omitting the blueberries. Either way, it’s delicious! 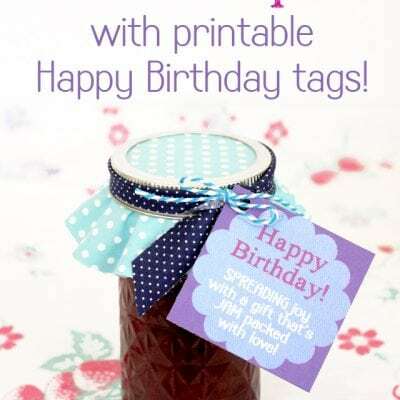 I thought that this jam would make a great birthday gift for friends and neighbors, so I created a cute little “Happy Birthday” tag to include with the jam. I made a few different options in different colors to match different flavors of jam – take your pick! Which gift idea did you love the most? Visit your favorites and let them know you love it! I love homemade jam! This is a great idea! 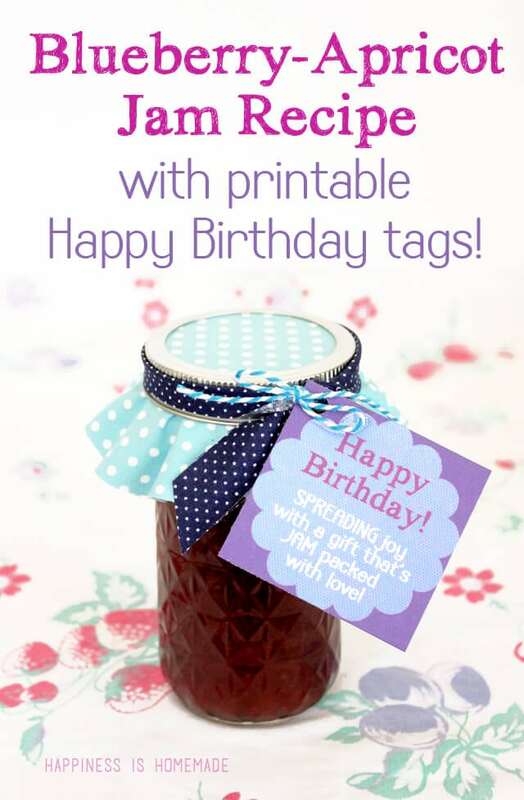 These are great for jam gifts to dress it up with the presentation. Thanks for creativity and making them available to everyone and not just “fans” of social media. I love homemade jam. Definitely pinning this. The printable is so cute too! This looks soooooo good! I need to get up the courage to make my own jam…I am such a wimp though. And I am sure it’s easy…. Blueberry Apricot Jam – Yummy!! Yum!! The jam looks so good! What a great roundup! Big fan of apricot jam! 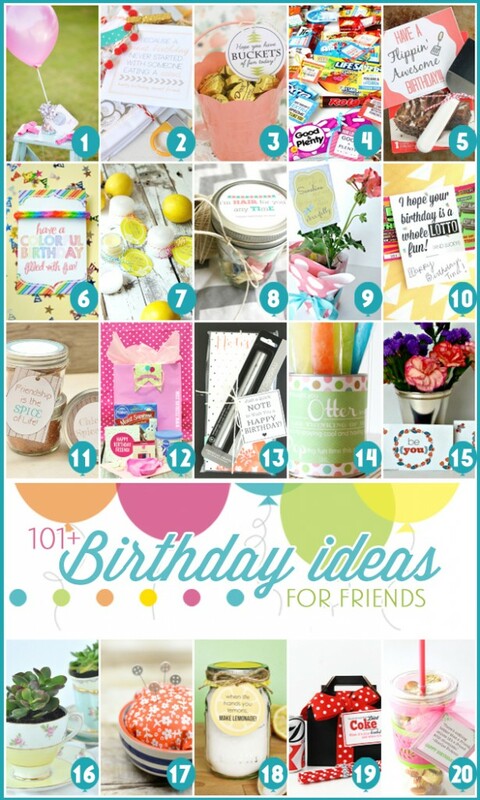 🙂 Love this #birthdaygiftidea hop! I made your blueberry apricot jam today, changing it a little bit. I didn’t have enough blueberries so I added blueberries, blackberries and raspberries with the apricots. Oh my josh, it is so good – so good I made a few more batches. Thank you for the inspiration!!! Do you think you could do this with the regular pectin following an all apricot recipe, but sub half the fruit for blueberries?